This is myself(left) and my brother, Marc, at the radiation department of UCLA Medical Center. 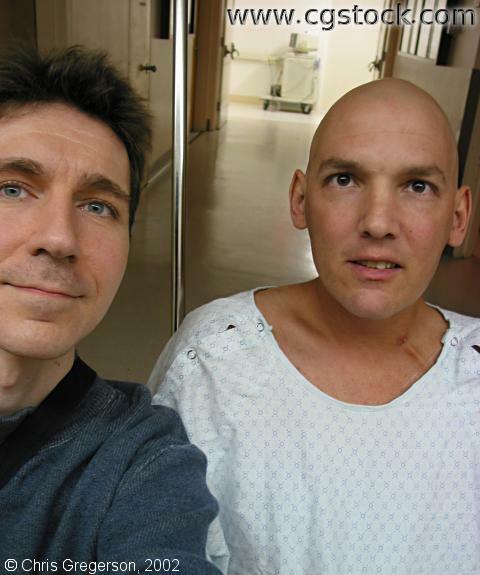 Marc was admitted the day before to receive a stem-cell transplant for Hodgkin's lymphoma. His treatment included total body irradiation (TBI). This was his first or second appointment.